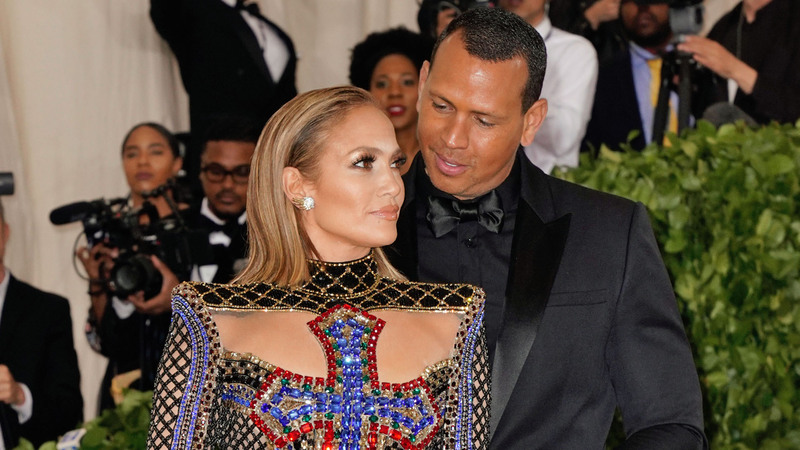 You'd have to have a heart of stone not to be totally rooting for Alex Rodriguez and Jennifer Lopez. They're one of the most devoted, happy celebrity couples out there right now. So naturally, after more than a year together that includes blending families, buying property together and basically becoming inseparable, it's easy for fans of the couple to start wondering whether an engagement is on the horizon. While engagement rumors have swirled for some time, and Lopez has gone on record to let us know what's up, on Wednesday, it was Rodriguez's turn to debunk the rumors and let the world know how he feels about his No. 1 lady love. On Wednesday, Rodriguez cohosted the third hour of Today with Kathie Lee Gifford and Hoda Kotb. At one point during their chat, Gifford turned the conversation to Lopez, referencing a ring that Lopez was pictured wearing during her 49th birthday celebration: a stunning, huge bejeweled leopard head. When asked when Rodriguez got it for her, he replied, "I did give her that ring. I gave her that ring probably about four or five months ago. I got her that ring. She loved it and look how beautiful she looks." And of course, because it was perched on that very meaningful left ring finger, Gifford had to ask if it had any specific significance (read: an engagement) to which Rodriguez replied, "Of course it has a significance, [but] no, we're not engaged. We're not engaged." Kinda disappointing, right? But then again, who are we to pester Rodriguez (and Lopez for that matter) about what their timeline is on getting engaged? Sure, an engagement is always exciting, but let's let Rodriguez and Lopez move at their own pace. Plus, if and when they do finally get engaged, we'll be right there to celebrate with them.